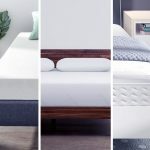 Sealy and Simmons Beautyrest are two of the most popular mattress brands and deciding which brand to choose for your next mattress can be quite overwhelming. Both brands are trendsetters and are known for manufacturing quality mattresses, but you can only buy one. This article will help you make your choice by comparing both of these brands so at the end you will know which one best suits your needs and preferences. 1.8 Is it a right fit? 5 Sealy vs. Beautyrest: What’s the Verdict? Sealy is one of the leading manufacturers in the mattress industry, and they have different product lines for their mattresses. Each collection has its own distinguishing features, so a potential customer can find a mattress that suits their needs perfectly. The mattress uses a stretch knit cover with innovative sleep enhancing technology. The SupremeLoft Cover with MoistureProtect and AllergenProtect helps to guard the user against common allergens. Additionally, it draws moisture away from your body while you sleep. The Response Premium is an innerspring mattress that uses Posturepedic technology to provide strong support when it is under the heaviest part of the user’s body. This ensures that support is available where it’s needed the most. The mattress fabric consists of 60% cotton and 40% polyester, and the queen size 14” firm variant that we had for this review weighed in at about 77 pounds. For comparison, the manufacturer claims that the king size version has 1172 coils. The model actually has different options for firmness, and you should confirm that you are getting the one that you need before making the purchase. Our review product is a firm version. Incredibly, Sealy has somehow managed to achieve a level of comfort with the firmness that we haven’t seen in a lot of similarly priced alternatives. When you press into the mattress, the foam does not quickly give way to your fingers. You will have to apply a decent amount of effort to get your hands to sink into the foam. Customer experience with firmness may vary though because different people have different body types and weights. If you got three different people with a stark contrast in weight to test the firmness of this mattress, they would probably give you varying opinions. So, at the end of the day, your body type and weight make a big difference. For the average user, we’d give a firmness rating of 7.5/10. Regarding sinkage, some users will find it essential to know what sitting or throwing themselves on the bed feels like. You may get a different experience with the plush version of this mattress, but this firm version holds itself well under body weight. There is some pressure and sinking, but nothing major. 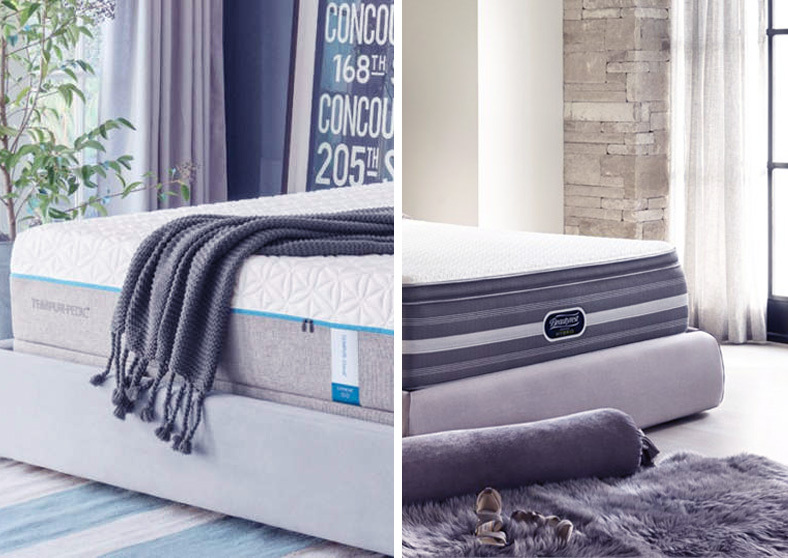 Innerspring mattresses typically provide excellent edge support, and the Sealy Response Premium is no exception here. Edge support is especially important when you have a sleeping partner and would need to use all or most of the entire surface of the mattress. Laying down on your back on the edge of the mattress sees an expected bit of compression, but nothing out of the ordinary. Switching positions to side-sleeping on edge results in a slightly more in-depth compression, but you will not be falling off the mattress – unless you’re thrashing around in your sleep. Also Read: Is It Bad That I Sleep Five Hours a Night? Moving into a sitting position, a smaller portion of the edge is affected, but compression is deeper. This is to be expected since the entire weight that should be spread across the mattress is now focused on a smaller portion of it. The increased focus leads to the increased compression. If you have a sleeping partner, then motion transfer should be a significant consideration and determinant in your purchasing decision. You should know what it will feel like if your partner is the kind of sleeper that tosses and turns all through the night. Modern mattresses have made good progress in dealing with this sort of issue. The intensity of detectable motion from one side of the mattress to the other is the concept behind motion transfer/isolation. Similar to the situation with firmness, motion transfer would also depend on the weight of your sleeping partner. A person with an average weight would have a smaller chance of disturbing their sleeping partner compared to a person that weighs a lot. However, mattresses do their own bit in this regard too. Sealy addressed the issue with their Response Pro HD Encased Coil System which contributes to the reduced motion transfer. As of the time of writing this review, the queen size of this mattress is on sale at Amazon for $749.99. This is quite affordable when you consider the average price of similar mattresses currently on the market. Typically ships within 3-5 days using Amazon within the US. Shipping is free. Is it a right fit? Considering all the information provided above, it is safe to say that this mattress would be great for back and side sleepers. Stomach sleepers may struggle with the firmness unless you’re going for the plush version. On the other hand, the firmness makes it a good option for back sleepers as it would even contribute to easing back pain. Excellent choice for side sleepers too, as a plush mattress would probably lead to significant sinkage. If you do decide to purchase the Sealy Response Premium, we’d like to know what you think about it after a trial. Drop a comment or leave a review. The Beautyrest line of mattresses was developed by Simmons Bedding Company, a reputable company in the mattress manufacturing business. With over 140 years of experience in the industry, they are definitely up there with the very best – a reliable option for anybody looking for a reliable manufacturer to purchase a mattress from. We have saved you the stress of doing all the research by yourself. 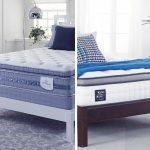 We reviewed some of the best mattresses from the Beautyrest line, and this article will provide you with all the information that you need to make a purchasing decision on any one of them. Firmness Firmness rating 3 out of 10. As the name suggests, this mattress is “plush,” so if you want a firm mattress, look away now. The firmness levels of this mattress is not necessarily a good or bad thing. It is merely a matter of preference. The mattress is built explicitly with higher gauge coils that contribute to a “plush” sleep experience. Firmness rating 9 of 10. The Austin Luxury Firm is the firmest mattress on our list, and this may be a contributor to the fact that it is also the most expensive. The firmness of the mattress makes it a great option for back sleepers, especially back sleepers that have some sort of back problem. A few nights on this beauty might bring about some marked changes in your sleeping experience, especially if you have been sleeping on softer mattresses in the past. Firmness rating 7 of 10. This mattress tries to strike a balance between very firm and plush. It is not too firm and not too soft. This is the reason why stomach sleepers that want a firm mattress can enjoy its benefits. Generally, a luxury firm mattress may be a little inconvenient for stomach sleepers sometimes, so this mattress is a right balance for this category of people. Good for back sleepers too, apparently. Edge Support and Sinkage A minor con of plush mattresses is edge support. When you sit on the mattress, there is noticeable sinkage. Expectedly, when you sit on the edges of the bed for a while, this sinkage may have you sliding slowly off the bed. Should not be a deal breaker, but that depends on your preference, of course. The Austin Luxury Firm provides the best edge support of the three mattresses in this review. You can comfortably sit on the edge of the mattress and tie your shoelaces or do whatever else you want to do, without fear of sliding off. There is a lot less sinkage than with the Gabriella Plush too – hardly any, in fact. The Brittany Firm does just fine here. Edge support is on a reasonable level, and there is only a negligible amount of sinkage when you sit on the bed. In fact, the sinkage would only be noticeable if you weigh quite a bit. Motion Transfer The Beautyrest® Pocketed Coil® Technology helps with motion separation, making this mattress ideal for people with sleeping partners. The feature is present in all three mattresses. Also has the Beautyrest® Pocketed Coil® Technology. Although the advance support on this particular mattress makes it even better in this department than the other two. Handles motion well too. Pocketed Coil® Technology ensures that you do not get in the way of your sleeping partner, and they do not get in yours. Cooling The SurfaceCool™ Plus Fiber gives you a more comfortable sleep, dissipating body heat from the sleep surface through its vertically oriented fibers. The coolest of the bunch. 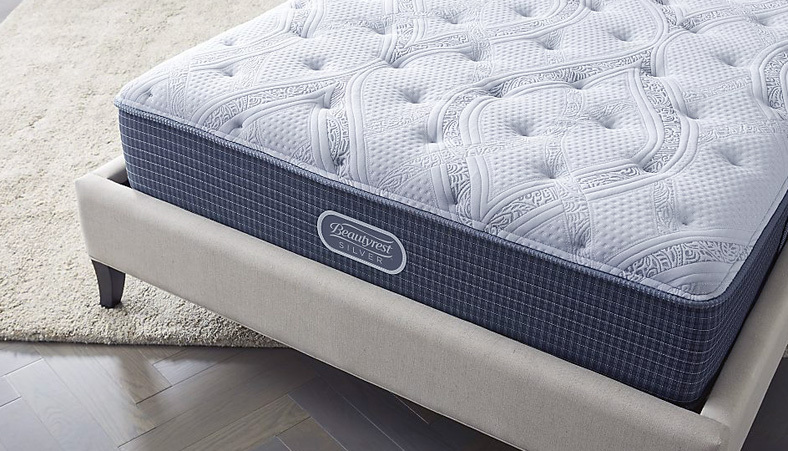 You sleep up to two degrees cooler on the Austin due to the integration of the PlatinumICE™ Memory Foam. In addition to the advantage of the SurfaceCool™ Fiber, this mattress’ AirCool® MAX Memory Foam helps to move heat away from your body to regulate sleeping temperature. There are a good number of other options from the Beautyrest line of mattresses, but these three of the very best. They have been tested, so we can vouch for their quality. You will be fine with any one of them, but the choice is yours to make. When you do decide to make a purchase, let us know your experience with the mattress that you chose. Cheers! Let’s take a closer look at the brand and design idea, pros and cons, and key selling points of both brands. 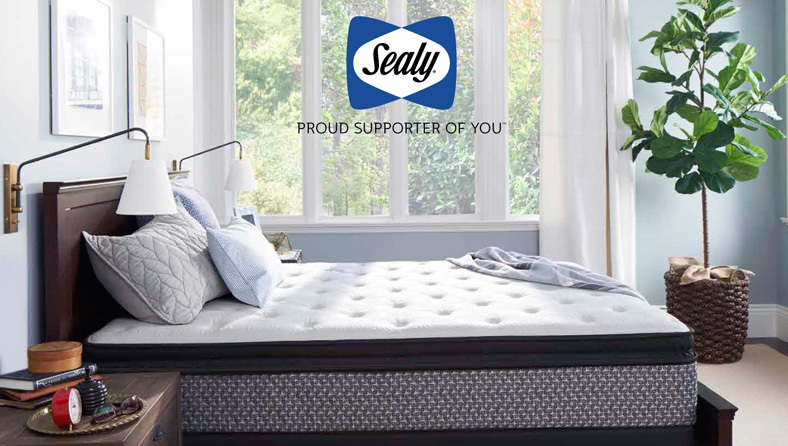 Sealy is one of the oldest mattress brands as it has been in the industry for over 133 years. It is a well-known brand when it comes to providing quality mattresses for a good night’s sleep. Some popular styles of Sealy mattresses include Posturepedic, PurEmbrace, and TrueForm. One of the reasons behind Sealy’s popularity is that their mattresses help control pressure points, allowing a sleeper to enjoy a comfortable arrangement for a sleep throughout the night. Sealy offers innerspring mattresses as well as innerspring with latex and memory foam. Different varieties come with different price tags. Simmons is another popular mattress manufacturer that has been around for over 143 years. Two of the popular styles of Simmons mattresses include Natural Care and Beautyrest. Beautyrest is their flagship brand. Simmons Beautyrest comes in plush, firm, or pillow top models. These mattresses are known for their comfortable support and motion control, as well as durability. Beautyrest mattresses have been designed to offer a fully recharged sleep throughout the night. In a quick comparison, you will realize that Sealy goes with traditional offset and firm coils that offer significant pushback onto sleeper’s body. They are not known for their motion isolation. Simmons, on the other hand, uses pocketed coils in their mattresses that conform to the body shape of the sleeper and provide better motion isolation. Sealy mattresses are relatively cheaper and offer traditionally springy, firm feel. They offer great support and help reduce a backache. Good temperature control thanks to natural breathing materials that offer a sense of comfort and also prevent sweating. Sealy mattresses are quite durable and can last many years without losing shape. Their surfaces stay even and smooth throughout the years. Good motion isolation, spring support, and conforming. Simmons Beautyrest mattresses are known for their high-quality comfort level and luxurious feel. Sealy mattresses are relatively heavy which makes them look bulky on a bed. They are also difficult to turn over. They are quite firm and some individuals may face difficulty getting used to the firmness. Their off-gassing and new mattress odor are more noticeable than other hybrid and innerspring mattresses. Although these mattresses offer a luxurious feel, they are quite expensive and come with an above-average price tag. Sealy vs. Beautyrest: What’s the Verdict? Your budget is relatively low and you are looking for a more economically viable option. The core functionality of the mattress is your main concern. You want your mattress to be firm and don’t mind the significant pushback. Buying a luxurious mattress is your top priority and price is not an issue. You want to buy a mattress that offers innovative features. Motion isolation is a big deal for you and you like your mattress to have good conforming properties.